PIERRE, S.D. 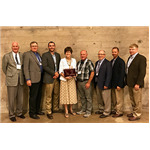 – The Western Association of Fish and Wildlife Agencies (WAFWA) announced this week that the South Dakota Game, Fish and Parks (GFP) Commission has been named Commission of the Year at their annual conference in Eugene, Oregon. The GFP Commission is highly engaged in the social science of managing the state’s resources and opportunities. Nonresident waterfowl license allocations, deer license allocation and its drawing structure, nonmeandered waters as well as waterfowl refuge and boating restrictions are examples of highly polarized and diverse philosophical belief issues this eight member commission has addressed. Concurrently, the commission is moving forward with evaluating nonresident hunting, fishing and state park use, allocating opportunities and finding a balance between resident and nonresident desires. One of the primary responsibilities of the GFP Commission is to establish, adjust and remove administrative rules (regulations). In an attempt to be more responsive to the public’s desire for regulation change, this commission has encouraged the public to bring forward petitions for desired changes. In the past two years, the GFP Commission has considered several petitions; some have been adopted and moved into the rule promulgation process and others have been denied. It’s the commission’s belief to be responsive to the public’s interest for change which has resulted in a higher number of petitions. It is also their belief that these topics, often unpopular, deserve a public hearing and the opportunity for all sides to weigh in before making a decision. 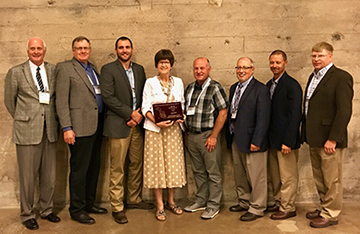 To learn more about the GFP Commission, its members and their role in sustaining outdoor recreational opportunities of South Dakota’s state parks, fisheries and wildlife through transparent decision making processes, visit https://gfp.sd.gov/commission/members/.